The posts labeled Filthy 108 feature wisdom and humor from the Buddha-Bro. The wisdom will activate your mind. The humor will activate your gag reflex. The Filthy 108 was my first stumble-y attempt at writing. My views have changed since then (I’d like to think I’m not so bitter and hard-edged as when I wrote it, haha!) and it reflects a snapshot in time before I embraced the premise That It’s All Okay in the end. I’ve left it up as a curio of sorts: my first book in all its glorious error. I find it kind of embarrassing actually, and I can’t read it anymore. But I think it’s important to remember where I came from so I’ll leave it up. Haha, thanks! It was a fun first foray into writing, but I think the market for filthy humor mixed with spirituality is severely limited! I am surely buying this, no knowledge is ever wasted, like my dad always say to us. Thanks for following my blog, i love yours too and cant wait to explore, meanwhile i nominated you for the Liebster awards, https://mariajob.me/2016/04/18/the-liebster-award/ do check it out and feel free to accept of decline, but of course you can drop a comment or more…cheerios. Xo. Such brave and bold way of titling your work. Loving it! Talk about a niche market—filthy humor mixed with spirituality IS severely limited, so bravo! Thanks for following my blog, which brought me to yours. I’m looking forward to reading more of your work. Hi, Kent! Thanks for checking out my blog! I’ve taken a quick look at the Filthy 108 and it is utterly hilarious. Kudos to you, sir. It’s endearing to find other authors who are pursuing big things. Best of luck to you! I’ve just subscribed. Jo Kent, thanks for checking out my blog. 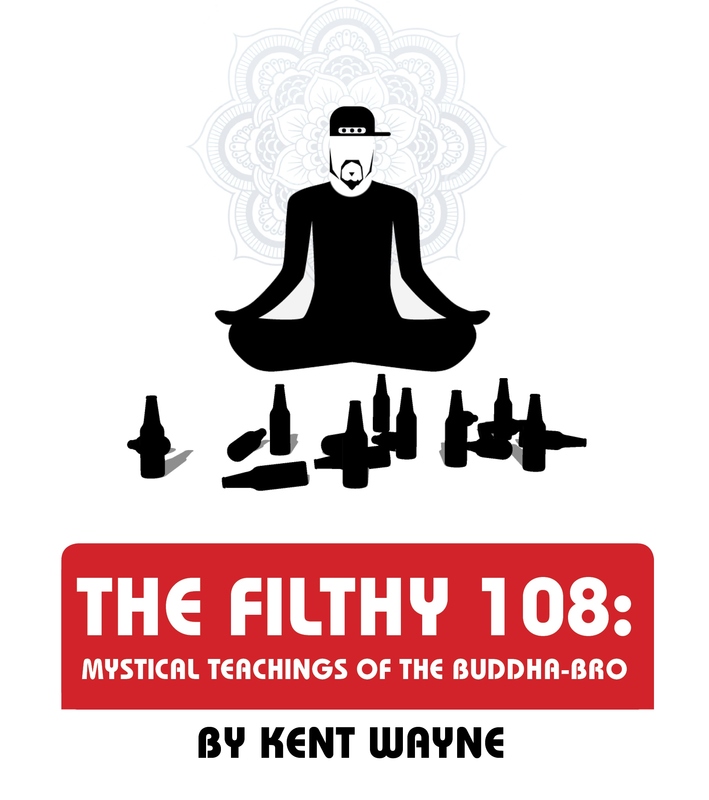 Your Filthy 108 is so original & fun to read–what a great concept you have of mixing wisdom teachings with humor. The humor part being something we could use in bigger doses. I also love the concepts in your book, Echo. Interesting to note how its themes echo our current consciousness here on planet Earth. Just read the Kindle sample. Truly a filthy, funny, and fascinating way to approach spirituality and the dual natures in us all. I am only slightly hesitant to say…is Buddha-Bro our savior.. This is ace! Just checked out the first couple of pages and it’s hilarious and full of much needed insight. Yea, it’s all part of the process and this is still well written and very funny and adds a bit of a fresh perspective to spirituality related topics which tend to be kind of dry and serious. Anyway, looking forward to reading your other stuff. Keep em coming! Had to check it out…nasty humor was too intriguing in the description not to spend $1.08 Can’t wait to read it. I dread your reaction to my amateurish musings, haha! So far, so good! We all need this in our life. Why be serious all the time? When the world is our playground, we play…some of us play nasty. (haha!) I will refrain from quoting my special likings, for now anyway.